Nobody wants to be drowning in debt – unable to pay bills, afraid to answer the phone, ashamed of what their friends might think. But the reality is countless Americans currently find themselves in just such a situation. For many people, the best way to get out from under a mountain of debt is to seek the help of a professional debt settlement company. Unfortunately, the debt settlement industry is littered with unscrupulous operators just waiting to take advantage of them. If you choose the wrong company, you may find yourself in worse shape than you were in before. The good news is that first class debt settlement companies do exist. You can solve your debt problems and you can make the best decisions about how to do it – just by reading and using this document. Keep these 14 questions – and their answers – in mind as you make your decision. 1. Do you charge fees before settlement? No debt settlement company should charge you any fees at all unless or until your debt is settled. Performance-based fees have always been the best model for the consumer. Recently, the Federal Trade Commission (FTC) made it law and as of October 27, 2010, anything besides paying for performance is simply illegal. Fees can only be collected after a settlement has been made and approved by the client. Some debt settlement companies are attempting to circumvent the law by claiming a “legal model” exemption. There is no such exemption. Some companies will try to sell you a product to get money from you in advance. This is just a way to get money from you up front. New Era Debt Solutions does not charge you any upfront fees whatsoever. Neither should any other company. When you pay money up front, not only does it hurt your ability to get out of debt, you are gambling on a company that may be forced to shut down by the government. 2. Are you an attorney-based debt settlement company? At first glance it might sound like an attorney-based debt settlement company would be a good thing. In fact though, these companies generally cost more and may take a lot longer to settle your debt. They charge large upfront fees (the legality of which is in question) and as a result it takes longer for you to accrue enough money to reach your first settlement. The entire process is prolonged, your settlement options are reduced, and you ultimately pay much more. Attorney-based debt settlement companies feed on consumer’s fear of being sued. They want you to believe you need to pay extra to have an attorney on board in the unlikely event you get sued. The truth is debt settlement companies such as New Era have attorneys on staff to continue to negotiate settlements in just such an occurrence. And your actual chances of being sued are quite low. The answer to this question should be “no” if they charge any upfront fees. 3. Are you an accredited member of the Better Business Bureau? It is always a good idea to check with the Better Business Bureau for the company’s rating and also their complaint history. New Era Debt Solutions is rated an A+ with the Better Business Burea. 4. Who will work with me on settling my debt? 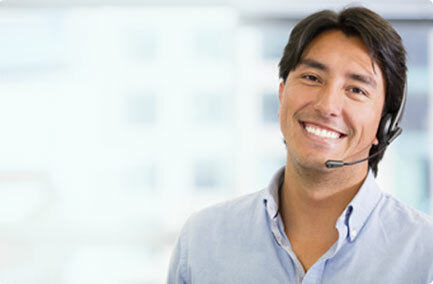 Sales companies and work-at-home sales reps are quite common in the debt settlement industry. Chances are good the person you are talking with will “sell” or pass you off to a different company to settle your debt. There are several downsides to this. Often the company actually handling your debt settlement has no idea what promises have been made to you – nor any obligation to meet them. Similarly, the person who signs you up for the program has no control over how you or your situation is handled. Lastly, your confidential financial data is being passed on to another entity you know nothing about. With New Era Debt Solutions you have a single point of contact and a relationship that will last throughout the duration of your program. Our debt settlement specialists are New Era employees who are dedicated to meeting our high standards, and your financial information is safe with us. 5. How long have you been in the debt settlement business and how much debt have you settled? Many companies rushed into the debt settlement business over the last few years. Some companies don’t settle much debt at all, and young companies have very little experience. Ask for proof of their experience. 6. How do i know you’re telling the truth about what you can do for me? Debt settlement sales representatives are quick to make claims about the number of clients their companies have helped, the amount and percentage of debt they’ve settled and the success rate their clients achieve. Be sure to ask them for proof. The truth is, many sales people will tell you anything to get you to sign-up. New Era Debt Solutions is one of the only debt settlement companies with full disclosure and a transparent success rate. We even publish the numbers on our website. 7. Can you stop my creditors from calling me? As much as everyone would like to stop all creditor calls, it is simply not possible. If a debt settlement company tells you they can do this, they are not being honest. New Era Debt Solutions makes every attempt to get creditors to deal with us instead of bothering you. 8. Will you be making monthly payments to my creditors? Settlement companies do not make monthly payments to your creditors. If they claim to do so or if they give you the impression that they do – Red Flag! Creditors are not paid until after a mutually agreeable settlement is negotiated and approved. 9. Can i get sued? The honest answer to this question is yes; it is a possibility. If a settlement company says anything to the contrary – beware! Although we can’t promise you won’t be sued, New Era Debt Solutions will continue to negotiate a settlement even if a lawsuit is filed. 10. Will this have a negative effect on my credit report? The honest answer to this question is also yes. Any type of service you use – credit counselling, bankruptcy, debt settlement, or debt consolidation – can have a negative effect on your credit. Some options have a greater impact than others. Your concern shouldn’t be about your credit, but getting out from under your debt. Our goal in working with you is to settle your debt as fast as possible. Then your credit will have improved dramatically. 11. When can I expect my first settlement? Your first settlement should be made within the first 6 months of the start of your program. Many New Era Debt Solutions clients begin seeing settlement offers in as little as 90 days, and sometimes even sooner. 12. Can you tell me exactly how long this will take and exactly how much it will cost? Debt settlement is not an exact science, and there are too many variables to quote exact time frames and figures. Many companies will tell you anything to get you to sign- up. Any attempt to provide exact information should be questioned! New Era Debt Solutions provides estimates only of time frames and costs. These estimates are based on current company averages. 13. Are there tax consequences I should be made aware of? The answer is yes – there are potential tax consequences. The debt amount forgiven may be a taxable event and this should be explained to you. A savings of over $600 may or may not be taxable depending on your individual and unique situation. 14. Who is holding my money while I’m waiting on a settlement? Your funds should be held at a third party escrow company in an FDIC (Federal Deposit Insurance Corporation) insured trust account. If the company tells you to save your own money or to send the funds to them – watch out! New Era Debt Solutions recommends the escrow services provided by RAM. Your funds are held in an FDIC insured trust account. You can use the above questions and answers to help you determine the trustworthiness of any debt settlement or debt reduction firm you speak to. If you want to eliminate a bunch of time-consuming interviews, you can always go straight to New Era Debt Solutions – you already have our answers to these questions. We’ll help you reduce your debt and get back on your feet quickly and securely. You’ll pay zero fees upfront, and we guarantee we’ll reduce your debt.